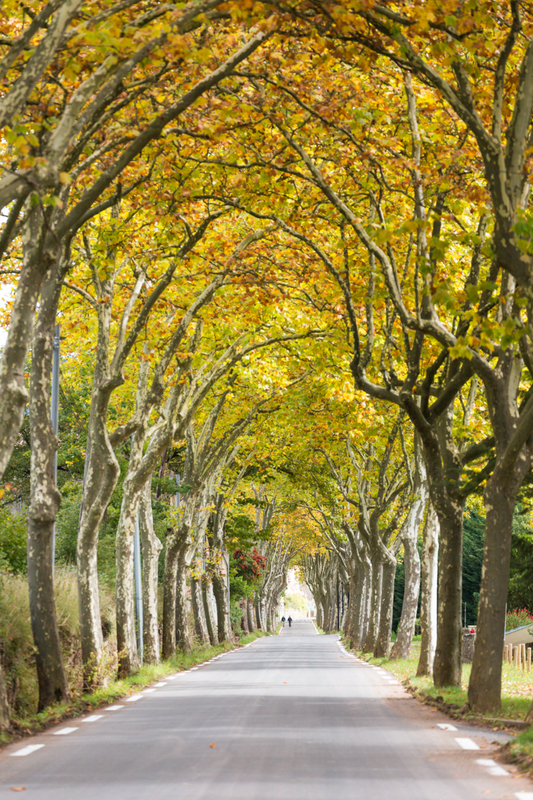 Autumn is a great time for a road trip through France. The countryside and villages look stunning in their fall colors, while the crowds of tourists (French and foreign) have dwindled after the summer rush. We left Paris by car in early October and drove down through the Loire valley to the Dordogne and on to the Languedoc, all the way through Provence as far as Menton almost on the Italian border, staying at various strategic places along the way. Then we made our way back along the Côte d’Azur and up the center of France to Burgundy and back to Paris. We were on the road for a little over a week in all. It was one of the most enjoyable, memorable, beauty-filled weeks of exploration we have spent. We would like to share some of the photos from that trip with you here, and recommend a similar expedition for you at this time of year. Despite, or perhaps because of, the torrential rain that greeted us in the Loire Valley, it was a beautiful, as you can see for yourself. The main image of this blog post was taken in Azay-le-Rideau, not far from Tours. The following two were in the same area. Brantôme on the river Donne in Périgord is one of the most picturesque and sweet villages we have ever stayed in. Waking up early in the morning and exploring the village makes you wonder if you have stepped off the planet and arrived at another place and time. 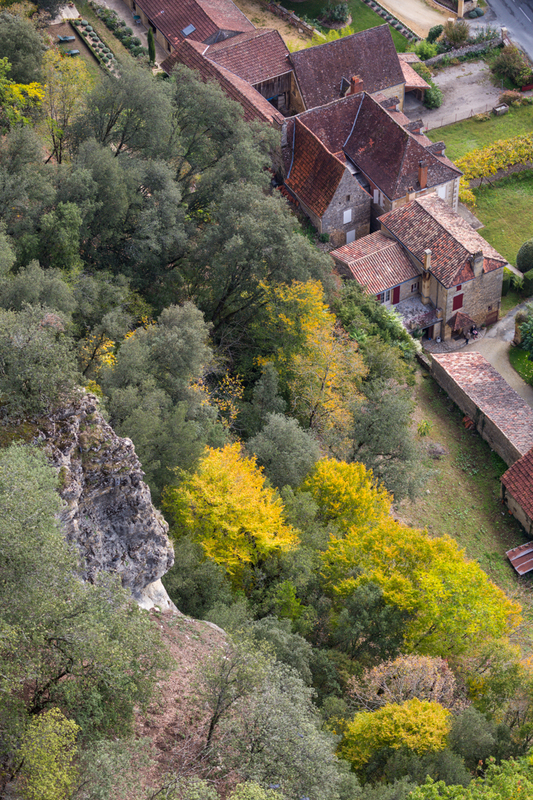 The autumn colors are just perfect for the stone houses and buildings of the village. The Dordogne countryside, with the river of the same name winding its way through green fields dotted with autumn colors on the deciduous trees which form a significant part of the landscape, along with the chateaux perched strategically on hills, is perhaps the most beautiful area of France. 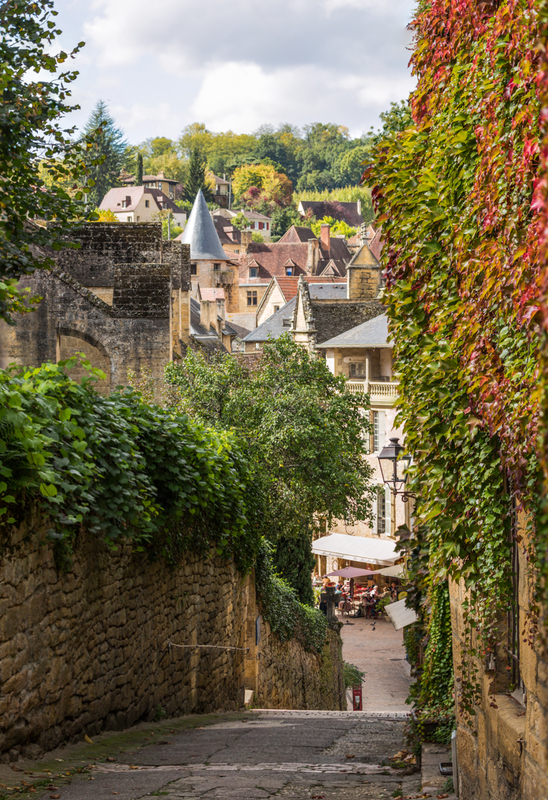 The Dordogne has some wonderful towns and villages, each with a history and character of its own, many of them listed among Les Plus Belles Villages de France. Actually just across the border of the Dordogne in Lot. 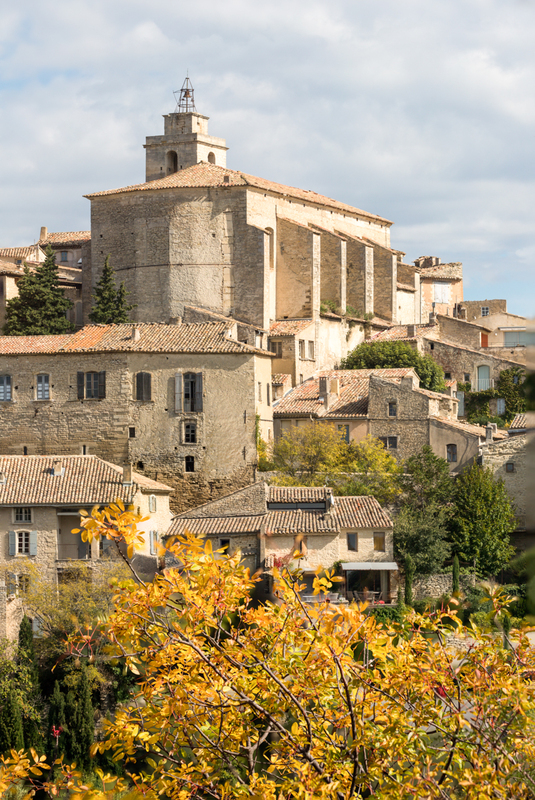 The Luberon is an area in northwestern Provence known for its beautiful medieval villages tucked away in the hills. On our way back to Paris from the very southeastern tip of France, we stopped in Burgundy. 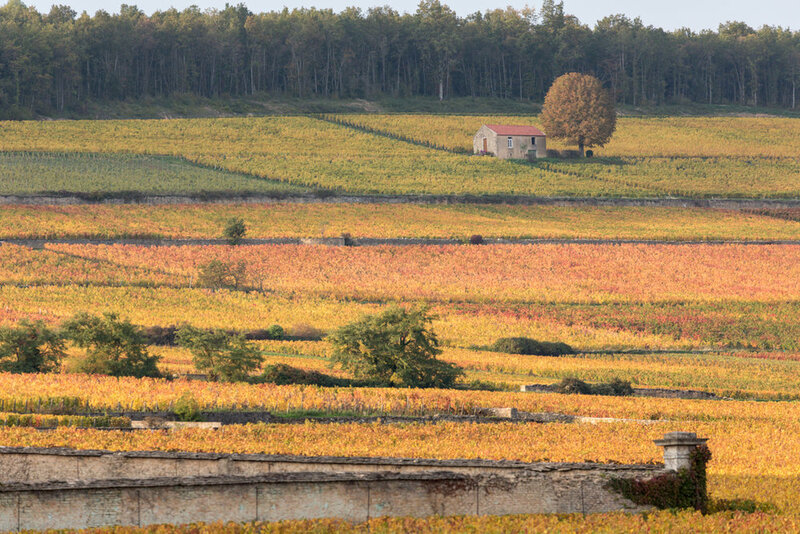 It is one of France’s best-known wine districts: villages surrounded by what appears to be an endless sea of vineyards. At this time of year the grapevines are a mixture of many shades of yellows, reds and greens. Burgundy was our last stop before returning to Paris. 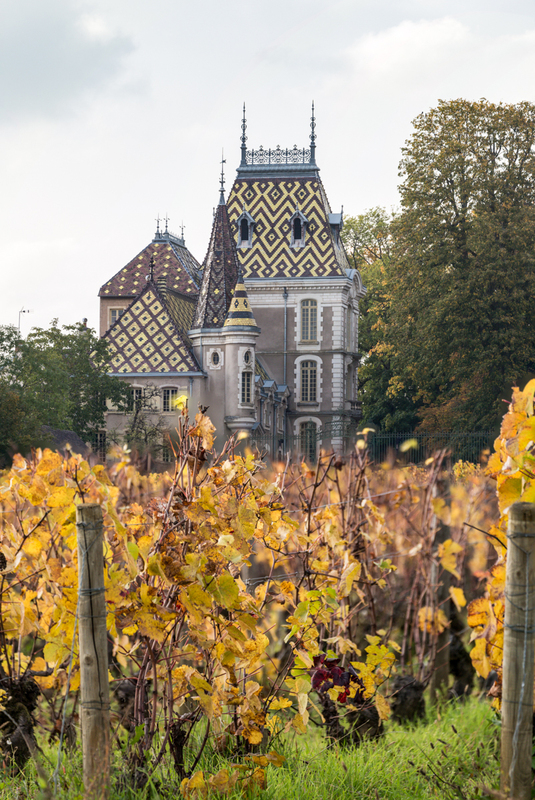 We spent the night in Beaune which is a lovely town in its own right and a great base from which to explore the neighboring villages and vineyards. You will find some of these photos along with a good selection of images of the French countryside and towns and villages outside Paris for purchase in the French Country Prints and Canvases section of our shop. They do make for beautiful wall. If you would like a print or canvas of any image you do not find in the shop, please contact us.